Short Story Submissions | Send Us Your Stories! In case you didn’t know, we here at Cultured Vultures have a lot of love for writers and the art as a whole. That’s why as well as being able to submit your poems for our Poem of the Week, you can also send some short stories for us to cast our beady eyes over. Before we launch into it, it’s important to state that we work on a different kind of payment structure. Being completely independent means that we don’t have much budget for things apart from, you know, eating and staying alive. We can pay $1/£1 per every 100 views your story gets, but it’s important to realise that short stories don’t always connect with audiences. What we can definitely offer you, however, is a great platform to have your writing seen and shared and a vibrant community of likeminded individuals who will be happy to swap tips and tricks for when it comes to putting pen to paper or fingers to keyboard. We aren’t going to pretend that not being paid huge money is desirable for most writers, but we hope you take the time to submit to us anyway. And that’s all. 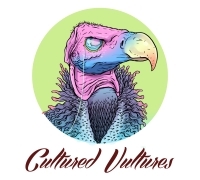 Once you have sent it in to nat@culturedvultures.com, you will receive an email when we have read your submissions so you can hopefully look forward to seeing your work on the website soon after!